We know you could be worry about shipment. We know how breakable the powders are. Let us show you our shipment example. 1) We check the quality. Sometimes we go to buy items in the department stores, but about Suqqu or ADDICTION, basically we order them through department’s official sites or their official sites. So, they send the items as your order to us. We check the quality and take photos of them, if you want to see pictures of your items, please tell us so, we will send you the photos. We pack with bubble wrap tightly. We also do paper wrap. I wish you can see the air bags. In this box, there are some things to be cushions. and actually the air cushion is lying beneath the items. Air bags are also above the items. Because of this business model, shipping from one country to abroad, we have to admit we are not so eco-friendly. But We can try to be. We know how sensitive powders are. 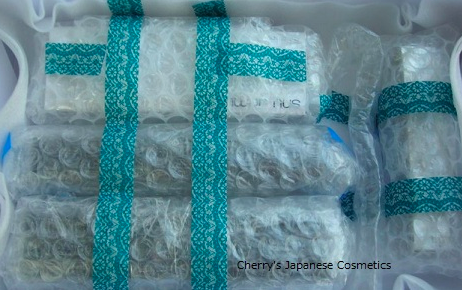 And even other items, like lipsticks, lotions, we always wrap by bubble at first. Most of we are dealing are what we order the official stores through the net. They always use bubble wrapping. What we are using are that wrapping. Do not worry about the wrap. 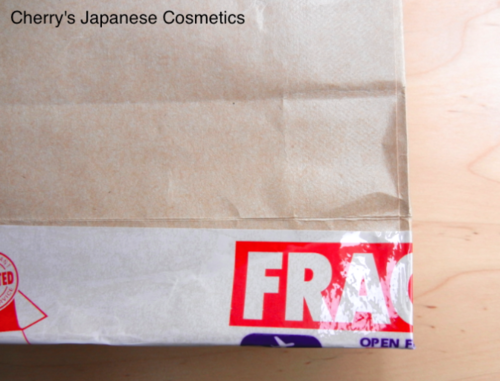 But When your order are drugstore brands, we use new bubble wrap, or some used wrap we have. 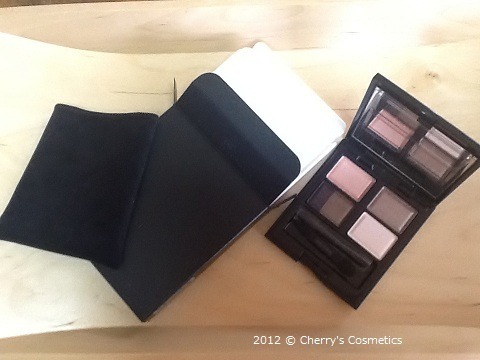 We love cosmetics as our customers. We know how fun and exciting to unpack. We are shipping all the items with wishing they make you happy. We use paper wrap to let you enjoy unwrap. We do not ask stores to wrap, to save days to be shipped, but we have lots of paper wraps. They are not new, but still really good condition. The paper wraps also work as cushions, or stick the items to the box. Please do not worry about the papers are wasting sources. We ship by a box or a bag. They are the very same box or bag what the official stores are sent to us. Most of our customers are ordering items we have to order 2 or 3 stores, other boxes and bags are used for the customers who ordered drugstore brands only. Do not worry. Indeed sometimes we do not have good-sized box or bag, we use EMS’s official things. Please excuse us. 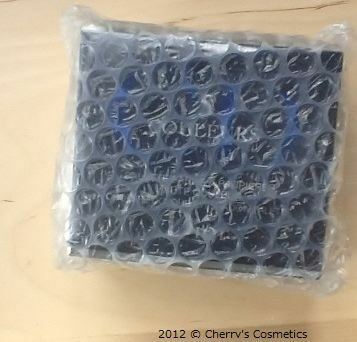 We always use air cushions or bubble wraps to be cushions what the official stores are sent. But sometimes they are not enough. Sometimes we use balls of newspapers as cushions. Please excuse us when you find balls of newspapers. We know it looks miserable, but it works right and effective cushions. 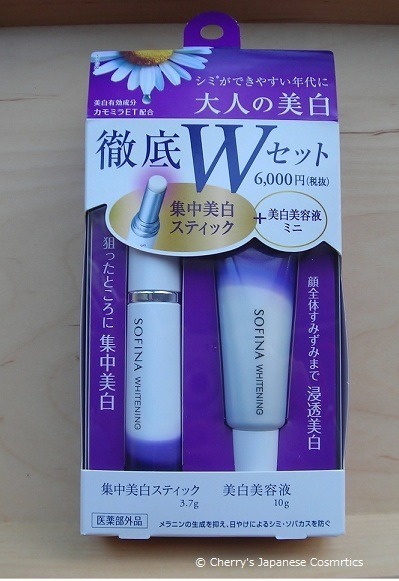 These are two of the example of packaged items. 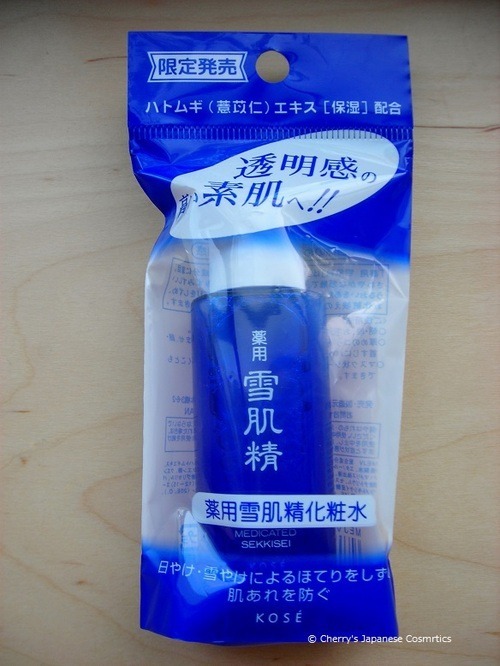 This is Sekkisei’s special 24ml trial bottle. This is the one, “Order 3 items, win Cherry’s favorite Sekkisei”. This is packed. We do not open it, but we also afraid that when the cap would open (rarely happen). We put it into a bag. 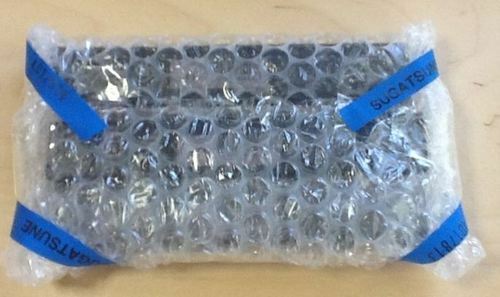 When your order are sensitive stuffs, we do bubble wrap this bottle too. 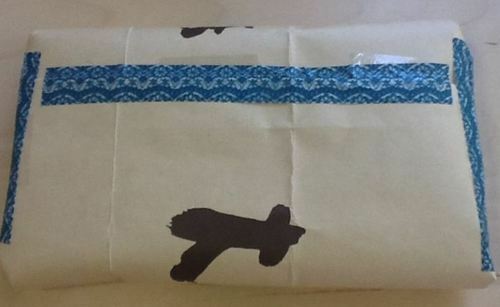 But for this give away, we do not do a paper wrap. 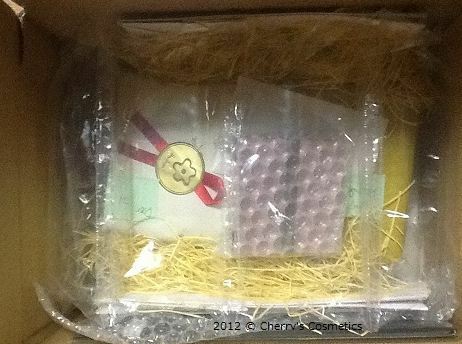 This is special box of Sofina Whitening (we will upload about it soon). This is paper box packaged, and it is sealed. This paper box works well as a cushion. We do not do bubble wrap. We do just a paper wrap. We are showing the example of the shipment package. When we have an mulri-item-order, some times customers order the same product, or size. When we have such orders, we often make one package. Actually all of they are in the cell each. And wrapped by a paper. This is one of the example of recent shipment. It is in one smaller box and things were taped. Unlike other examples, they are not wrapped by paper. In this time, one customer ordered over 5 items in once. We shipped one box, and inside were 2 smaller boxes. You can see only 4 blocks in this picture, yes, this is one of the inside boxes. In this time, we did not paper wrapped each, because we do not wanted to miss any things. Tapes are “decollation tape” or “masking tape”. you can remove them quite easily, but we guess they are enough to keep things in the box. The two inside boxes were also connected by those masking tapes. We often use used paper packages to ship. it is for protect the environment. No worries! We protect the the corners.